Xed is the default text editor in Linux Mint with Cinnamon environment. It is fast and simple to use for editing source codes or text documents. The default configuration comes without enabled line numbers. Here is how you can enable line numbers. 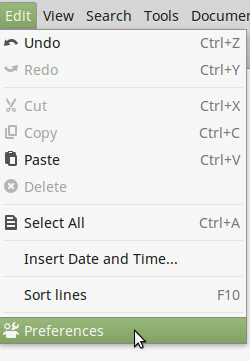 Open menu Edit and select Preferences. Click checkbox Display line numbers. The change will take place immediately.